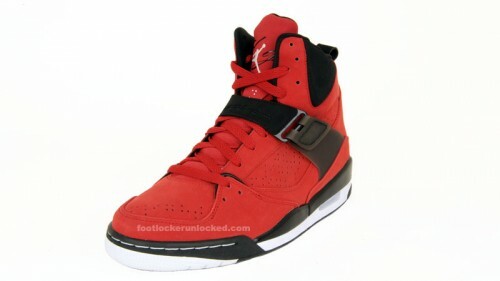 This Jordan Flight 45 High in varsity red/black/white will arrive at Foot Locker stores this Spring (probably Feb-March). 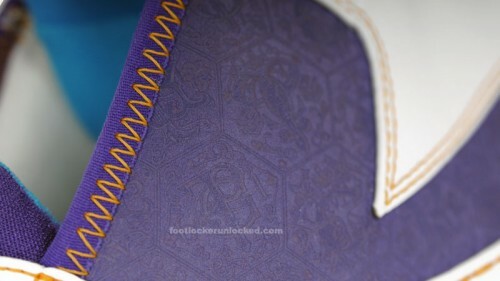 The Christmas Day showdown between NBA superstars Kobe Bryant and LeBron James will include their latest signature sneakers in special make up colorways. 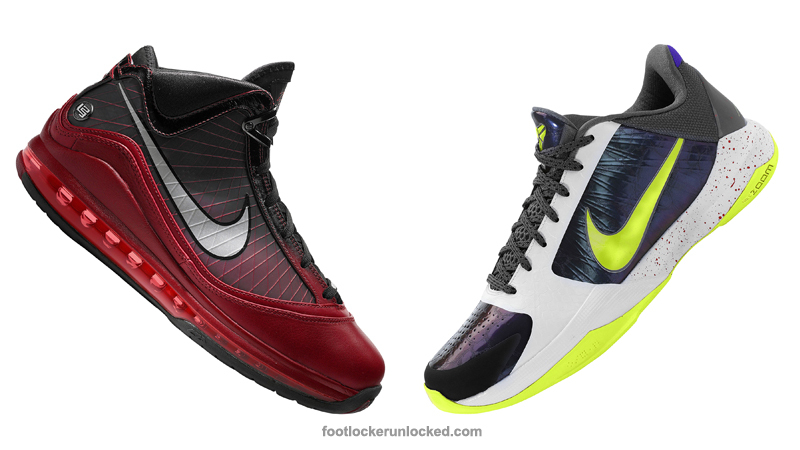 They are extremely limited but you can get the Kobe V here and/or the LeBron VII here. 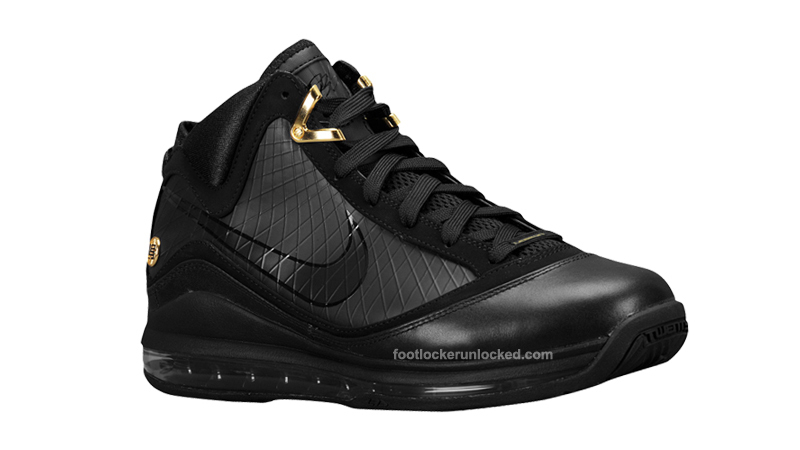 The LeBron VII in triple black is now available at footlocker.com and Foot Locker stores. 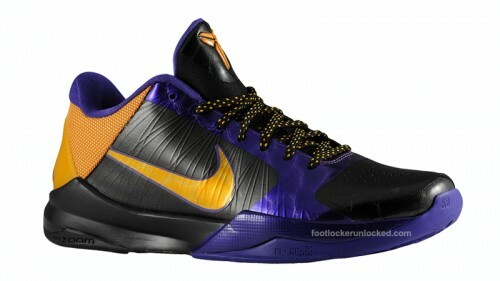 The Zoom Kobe V Chaos is only 3 days away, but the second colorway (black/del sol/varsity purple) will hit Foot Locker and House of Hoops stores on Saturday, January 16th. 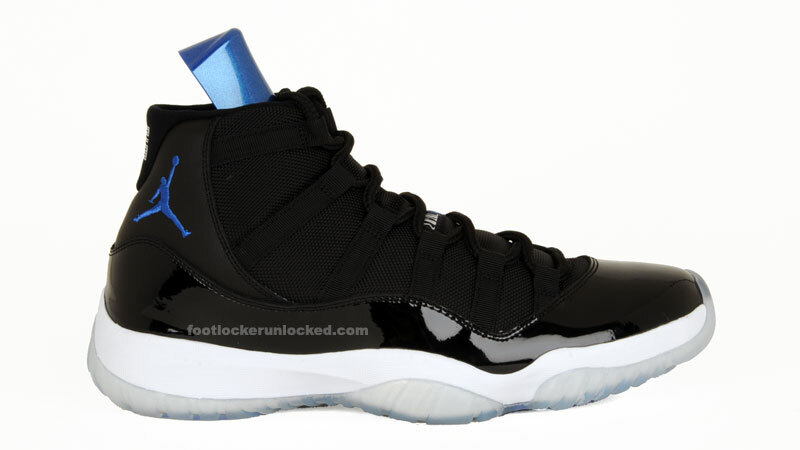 The much anticipated Air Jordan XI Space Jam is now available at footlocker.com and Foot Locker stores. 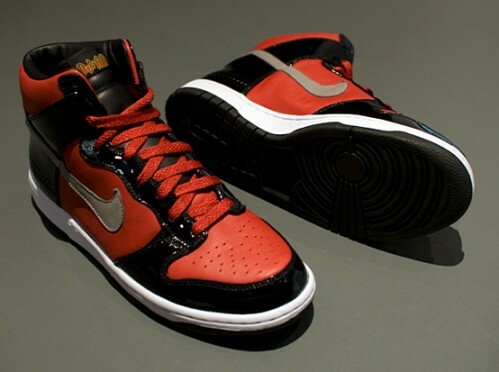 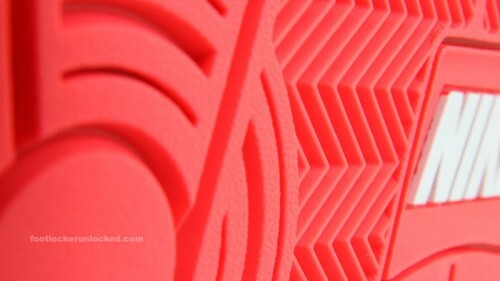 This Nike Prestige High in black/white/hot red drops exclusively at Foot Locker Summer of 2010.